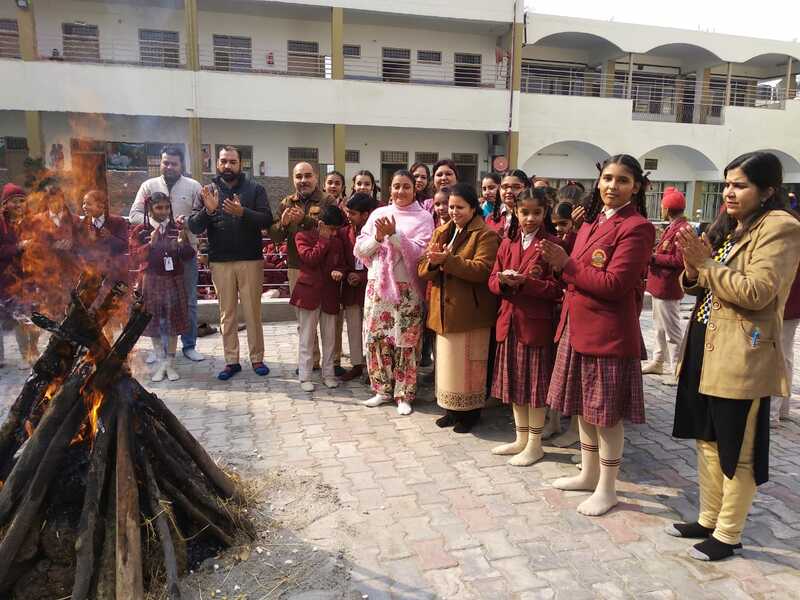 Lohri was celebrated at DAV Centenary Public School,Nabha with a lot of zeal and enthusiasm. The mood on the campus was upbeat and the students were totally absorbed in the festive spirit of Lohri. A special assembly was conducted in which the students from junior wing participated. Imrose from Class 4 and Manvir Singh of Class 5 sang punjabi folk songs on the occasion. Everyone was stunned by their performance. Mr. Kuldeep Rai apprised the students about the importance of lohri festival. The students, teachers and our worthy Principal danced around the bonfire. After that peanuts and rewari were given to the students by the principal of the school. The Principal Miss Meena Mehta hoped that the coming year would bring happiness in the lives of the students and teachers as well. She emphasized that Lohri festival prompts people to be thankful for God’s provision and also encouraged teachers to play a vital role to keep the tradition and culture alive in our festivities.